Laurie Christine King (LCK) graduated from Illinois State with a Bachelors in Food, Nutrition, and Dietetics. Her coaching passions include women’s health and hormones, specifically when it comes to hypothyroidism and PCOS. 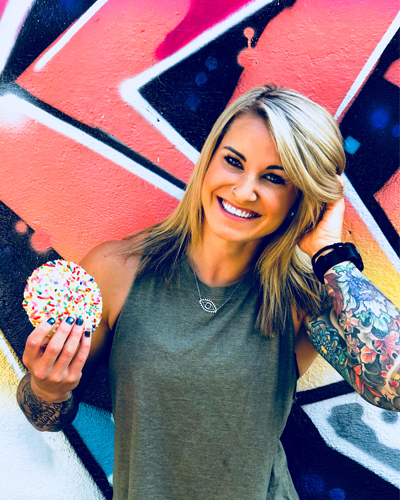 She grew up a competitive gymnast, coached CrossFit for numerous years both in the gym and with CrossFit Gymnastics Seminar Staff, and also competed at CrossFit Regionals on a team in 2016. Present day, LCK runs own nutrition coaching business, has guest-starred on numerous health and fitness podcasts (such as Shrugged Collective, Real Chalk, and Harder to Kill Radio) & regularly guest-writes for popular health and fitness websites, like Athlete Daily. LCK also launched Paragon Performance Training this past year, which is aesthetics-focused remote gym programming with a CrossFit-like feel that can be done on minimum time commitment. She also publishes 4-5 free educational blogs a week because there shouldn’t be barriers-to-entry on people feeling good, looking good, and loving their body.